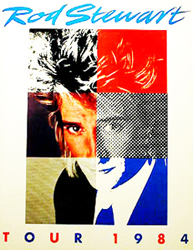 All Rod Stewart items listed below are authentic and very limited. We do not carry multiple items. All prices and availability are subject to change. All prices include shipping and handling for all USA customers. All other destinations will require actual shipping cost to complete transaction. Have a question? Ask us before purchasing the item. Thank You. Description: Rod Stewart 8x10 BW Promo Photo. Signed in black sharpie pen. Note: This item has a small water damage in the bottom right corner. Very Slight. 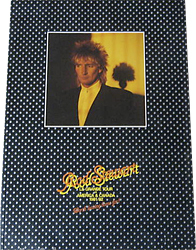 Description: Rod Stewart Grande Tour Book. Live stage photos and tour info. Note: This item in VG+ condition. 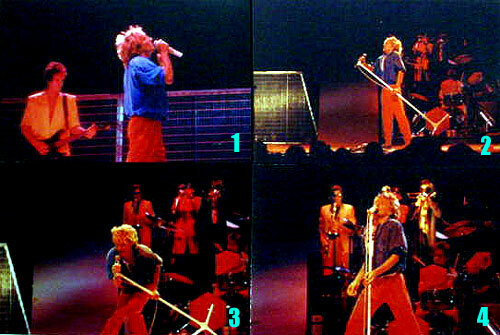 Description: Rod Stewart 1984 Tour Book. Live stage photos and tour info. 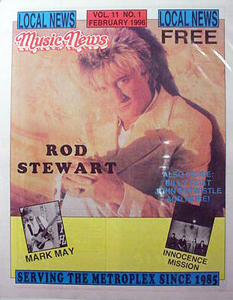 Description: 1994 Music News Magazine featuring Rod Stewart. 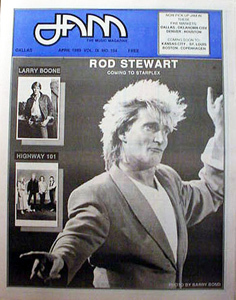 Description: 1988 Jam Magazine featuring Rod Stewart. 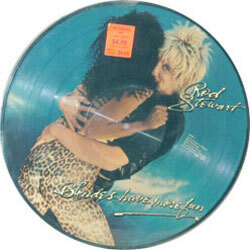 Description: Rod Stewart Blondes Have More Fun Picture Disc 33 LP. Item in mint condition.